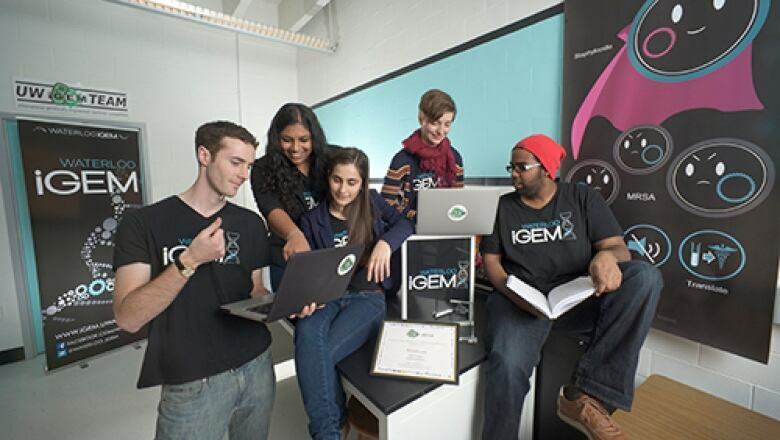 Jama Hagi-Yusuf had just graduated from the University of Waterloo and was applying for jobs when he received a response that surprised him. The email from a potential employer mentioned Somali culture and a resistance to authority. The employer argues Hagi-Yusuf just wasn’t qualified. A Waterloo man has filed a complaint with the Human Rights Tribunal of Ontario after he says he received a rejection email from a potential employer that mentioned Somali culture and a resistance to authority. 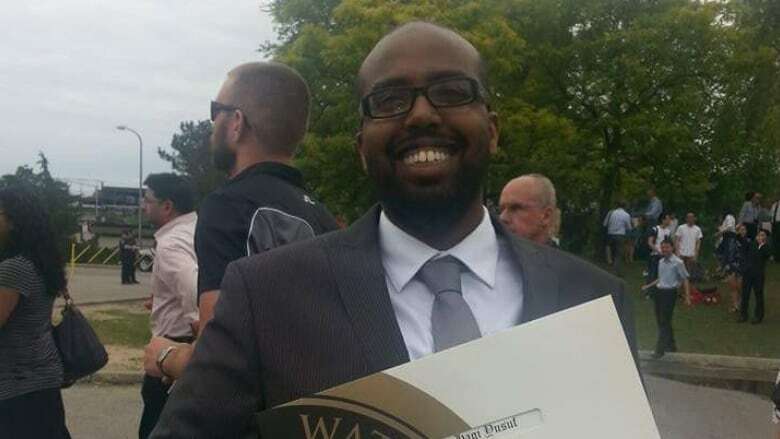 Jama Hagi-Yusuf was applying to jobs in the spring of 2015 when he saw a posting on Indeed.ca looking for an investment adviser's assistant with a financial company in Kitchener, which he thought was an entry-level office position. The University of Waterloo science grad applied, and was surprised when he received a response just hours later. But the email shocked him. "I don't know how to reply back to that email," Hagi-Yusuf told CBC News. "Replying back to him wasn't even something I thought of because what do you say to that ignorance?" "I have read stories about how Somalia has a culture of resistance to authority. Such a culture would be quite different than the Canadian culture sees makes cutting ahead in a lineup as a great social error. "The investment industry is a subculture with its own rules and traditions. It is normal for people to train for entry into this field. While your academic career suggests the training would be well within your competence, there is no demonstrated enthusiasm in past experience for entering this subculture. "Due to lack of background, I must decline your application. "Good luck with finding a suitable position." The letter was signed by J Sandy Matheson of Integral Wealth Securities Limited. Hagi-Yusuf was born in Toronto, but his parents are refugees from Somalia. "The fact that I'm Somali is something I'm very proud of, and that he saw it as a negative factor rather than recognizing that my family came here as refugees. "I went through university, I participated actively, I grew up in low-income housing, and didn't see that as a positive and saw my Somali-ness, just being Somali as a negative, there's lots of feelings towards that," Hagi-Yusuf said. He said he has experienced discrimination in the past. "I don't know how to describe it, but it's like the way they look at you up and down when you apply and hand in this resume, I know I didn't get this job or I'm not even going to get an interview," he said. "Racism is a traumatic experience every time it happens." Hagi-Yusuf, who volunteered with a Somali group on campus and co-ordinated other students to help tutor refugees, said he has now removed all references to speaking Somali and his volunteer efforts from his resume. Matheson told CBC News he received Hagi-Yusuf's application and deemed he was not suitable for the position. Matheson said the two then spoke on the phone, and following that, Matheson sent the follow-up email that Hagi-Yusuf sent to CBC News. "I was trying to be helpful, that the attitudes I was getting in his telephone call were not helpful to him," Matheson said. "There were norms within the industry that he was not meeting." Hagi-Yusuf said the two have never spoken on the phone and the email response was the only correspondence he received from Matheson. Matheson said Hagi-Yusuf's background did not play into his decision. "I didn't think the person was Somalian. The email was about how the person misunderstood the culture of the financial services world," Matheson said. Matheson said he mentioned Somali culture because he had recently read an article in a newspaper and it was top of mind. "The culture of lawlessness would make such people difficult to, find difficulty integrating into a country that's founded for peace, order and good government was a subject of an editorial I read. "It was just something in the top of my mind, had nothing, I did not think him to be Somali," Matheson said. "He told me he was educated here and I knew that." Melanie Reist is an employment lawyer and a partner at Morrison Reist in Kitchener. She said employers need to be aware of the way they word job postings, correspondence and how they ask questions in the interview process. "I think the best course of action for an employer is to not to veer into areas where they seem to be making a judgement call that could be related to a prohibited ground under the [Human Rights] Code," she said. "As soon as those kinds of assessments start to be made, it raises the potential that a factor in the decision making - in this case to not interview or hire an applicant - was based on their personal characteristics and not on their qualifications." Matheson said his email to Hagi-Yusuf was meant to help the young man change his attitude so he would be able to find work in the industry. "I find it an irony that because I try to be polite to every applicant and reply to all, that when I told this fellow that he didn't qualify, he came back in a phone call that basically complained about that," Matheson said, adding now he would reconsider how he wrote the second email. "I would rephrase the 'please sir, don't bother' email differently if I were doing it again, but the result would be the same. That is, he was not qualified and I can't imagine any client-facing financial services where he would be acceptable," Matheson said. Hagi-Yusuf said he wants Matheson to realize what he wrote was wrong. "That's how some people just see you and that's how I think that's how some people are and they need to be called out on that," Hagi-Yusuf said. "I would like an apology, I would like to hear that this is never going to happen again."